Is the grand tradition of colorful video game manuals coming to a close? It is for Ubisoft, as the company launches an initiative to replace tree-hungry paper manuals with in-game instructions for all PlayStation 3 and Xbox 360 titles. Killing trees just isn't in style anymore, and Ubisoft is taking steps to make sure it does its part to make sure we don't end up with a Lorax situation on our hands by doing away with paper manuals for its Xbox 360 and PlayStation 3 titles entirely. In place of paper manuals, Ubi's games will come with extensive in-game instructions, which the company says is not only better for trees, but better for customers as well, saying that in-game manuals have the potential to be more robust, free of worries over printing cost and space limitations. Internal Ubisoft numbers indicate that manufacturing one ton of paper used to create game manuals uses two tons of wood from 13 trees, enough energy to heat an average home for a year, 13,000 gallons of wastewater and 6,000 pounds of carbon dioxide. Along with doing away with manuals, Ubisoft is teaming with Technimark, Inc. to create a 100 percent-recycled polypropylene "ecoTech" DVD case, which will debut with the PC release of Splinter Cell: Conviction. "Ubisoft is often recognized for making great games, but it's a special privilege to be the industry leader at saving trees," said Laurent Detoc, president of Ubisoft North America. 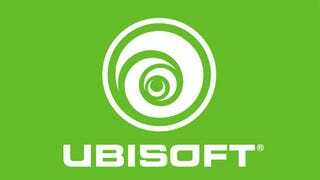 "Eco-friendly initiatives are important to the global community and introducing in-game digital manuals on Xbox 360 and PS3 is just the latest example of Ubisoft's ongoing commitment to being a more environmentally conscious company." Shaun White Skateboarding, due out this holiday season, will be the first Ubisoft title to ship without a manual. There is some irony there, if you look hard enough. Whether or not other publishers follow Ubisoft's lead, it will be very strange to open up a DVD case and not see some sort of instruction booklet included. Where will we jot down our notes? Our own pad of paper? Preposterous! "Ubisoft is implementing its in-game manuals first with its PC, Xbox 360 and PS3 games, and we're looking forward to eventually having all of our games feature digital game manuals." My theory? Many Wii owners aren't quite ready to take off their training wheels just yet.